Each of us wonder at least one time what we want to do with our life. Maybe many parents have been tempted to guide their children to develop their abilities for occupations that bring money, without taking in account the potential talents and the possibility to grow children’ creativity. I am sure that many of you have met people that have a good job, money and a „good life” but they are not happy. Each parent has a chance to encourage their children to develop creativity and native talent, especially as they may give later adulthood adaptive capacity greater society. The zodiac sign where is placed the 5th natal house. Sun in Aries gives a lot of energy and passion and a high self-confidence. Moon in Aries gives attraction for everything is new and a competitive nature. Ascendant in Aries gives an energetic, open and positive attitude to discover and to live life to the fullest. Mars is the traditional ruling planet of Aries, in this case it is very important the house where this planet is placed in natal chart and aspects that are formed. If the Ascendant is in Aries, then the 5th house is in Leo and it gives a special creativity, abilities to become a very good teacher or a motivational trainer. Also gives a native talent for investments and a very good communication with children. Sun in Taurus gives a stable and trusting nature with a lot of patience and perseverance. A Taurus child has great potential in cretive activities (music, dance, painting and gardening). Because he is a great gourmand and is addicted to life pleasures can become a very talented gastronom. In the same time common sense will make him to have a good performance in practical activities. Moon in Taurus gives attraction for everything is stable, comfortable, beautiful, tasty and relaxing. Ascendant in Taurus gives the ability to make money. Five natural senses are very well developed and will help the native to have a better life and happyness. Venus is the ruling planet of Taurus, in this case it is very important the house where this planet is placed in natal chart and aspects that are formed. If the Ascendant is in Taurus, then the 5th house is in Virgo and it gives a practical creativity, I mean the native does not lose time in activities that are not bringing a material result, at least to satisfiy one of his five senses. Sun in Gemini gives dexterity, flexibility and good coordonation in movement and PR abilities. The native is playful and restless and has a great ability to improvise. Great Imagination and many ideas but need more organized skills and motivation to put in practice. Moon in Gemini gives mental and physical versatility, run away from routines and boring people. Ascendant in Gemini gives the need of moving and mental activities, curiousity and direct communication. Mercury is the ruling planet of Gemini, in this case it is very important the house where this planet is placed in natal chart and aspects that are formed. If the Ascendant is in Gemini, then the 5th house is in Libra and it gives aesthetic sense (attraction to color, fashion, design), and love for music and dance. Attraction for beautiful environments, educated and refined people. Sun in Cancer gives great creativity for activities linked with family life, house, indoors, the best host. Moon in Cancer gives the ability and attraction to provide protection and warmth of a nice enviroment within family but also for friends and close people. Ascendant in Cancer gives attraction for indoor activities (at home, in family enviroment, in secure places). Moon is the ruling planet of Cancer, in this case it is very important the house where this luminary is placed in natal chart and aspects that are formed. If the Ascendant is in Cancer, then the 5th house is in Scorpio and it gives a native talent for financial speculations and any field where the money are the most important subject. Of course that everything is mysterious, secret or forbidden will attract them. Sun in Leo gives artistic talents, that is why you will find many Leo natives as actors, directors, jazz singers, clubbers). Also natives will have attraction for entrepreneurship in the arts and entertainment fields. Also, they have leadership skills and they know very well how to win respect of others and to coordinate their team. Moon in Leo needs attention, power and fun. Ascendant in Leo gives a warm personality and desire for independence. Sun is the ruling planet of Leo, in this case it is very important the house where this luminary is placed in natal chart and aspects that are formed. Here it is a special case, and I recommend analyzing also the ruler of the Sun (when the Sun is placed in another sign then Leo). For example, if we have a native Libra with Ascendant in Leo, then we look also to Libra ruler: Venus). If the Ascendant is in Leo, then the 5th house is in Sagittarius and it gives native talent for sports, for languages and ability to work with young generations and attraction for travel. Sun in Virgo gives practical abilities, desire and native talent to take care of others and even to heal others, that is why it is quite a possibility a Virgo native to be attracted to medicine or social services. Also they have great dexterity. Moon in Virgo gives preference order and rules and they run away from chaos, misery and disorder. Ascendant in Virgo gives clear, logical mind and aptitude for physical work. Mercury is the ruling planet of Virgo, in this case it is very important the house where this planet is placed in natal chart and aspects that are formed. If the Ascendant is in Virgo, then the 5th house is in Capricorn and it gives creativity and talent to organise, planning and techical talent (to repair all kinds of machines). They can have very interesting business ideas. Sun in Libra gives attraction for harmony and beauty (arts, fashion, design). They have creativity and talent for counseling and mediation. You can meet many diplomats, ambassadors, lawyers and PR specialist. Moon in Libra gives great social abilities and need for partnerhips (in private and social life). They run away from dirty places and rude people and they do not like any direct confrontation. Ascendant in Libra gives qualities necessary for counselors, lawyers and mediators of any kind. They like to explore, listen, compare (especially to compare themselves with others), to socialize. Venus is the ruling planet of Libra, in this case it is very important the house where this planet is placed in natal chart and aspects that are formed. If the Ascendant is in Libra, then the 5th house is in Aquarius and gives an avangarde creativity that can be incomprehensible to others. Great inventors in high technologies. Sun in Scorpio gives ability for a very focused and sharp mind and a strategic thinking. They are able to descover secrets and misteries that is why you can find Scorpio natives in research works, spy and detectives. Moon in Scorpio gives special psychological abilities, good financial instinct. That is why you can find a lot of them as psychologists, psychoanalysts, psychiatrists and leaders in finance and banking fields. Ascendant in Scorpio gives unsuspected qualities, courage and willingness to go all the way in everything they want to achive. Mars is the traditional ruling planet of Scorpio and Pluto is the modern one, in this case it is very important the house where these two rulers are placed in natal chart and aspects that are formed. If the Ascendant is in Scorpio, then the 5th house is in Pisces and gives a great creativity in arts (music, dance, painting, poetry) and boundless imagination. Sun in Sagittarius gives curiosity and desire to learn. The native can be an excellent team leader knowing how to motivate others. Attraction for distant lands and cultures and ability to learn languages very quickly. They can excel in playing sports and in any area that has something to do with foreign countries. Moon in Sagittarius gives need for freedom and various activities that can use their great energy and enthusiasm. Ascendant in Sagittarius gives love for sports, permanent learning and travelling. Jupiter is the ruling planet of Sagittarius, in this case it is very important the house where this planet is placed in natal chart and aspects that are formed. If the Ascendant is in Sagittarius, then the 5th house is in Aries and gives possibility to be very creative in any activity that takes place outdoors (in nature) and any sport. 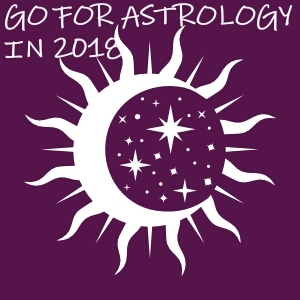 Sun in Capricorn gives a very structured and logical mind and the natives can excel in any field that requires logical research study, planning and organisation. Moon in Capricorn gives need for order, hierarchy and social recognition. Ascendant in Capricorn gives creativity in practical fields (IT, real estate, agriculture, project management). Saturn is the ruling planet of Capricorn, in this case it is very important the house where this planet is placed in natal chart and aspects that are formed. If the Ascendant is in Capricorn, then the 5th house is in Taurus and it gives creativity and talent in the arts (painting, sculpture, design, photography), skills in asset management, real estate and agriculture. Sun in Aquarius gives great mind and imagination, abstract thinking. The natives can excel in science, astrology, high technology, sports, jazz, anthropology. Moon in Aquarius gives need for freedom and attraction for nonconformist activities and people. The natives have an anti-system attitude. Even they like people they do not like to go into emotional and material attachemnts, actually they have a very friendly approach. Ascendant in Aquarius gives attraction for activities is small teams and friendly connections. They need to have total control of their time, to manage as they wish. Saturn is the traditional ruling planet of Aquarius and Uranus is the modern one, in this case it is very important the house where these two rulers are placed in natal chart and aspects that are formed. If the Ascendant is in Aquarius, then the 5th house is in Gemini and it gives good communication skills talent in stock investments. Sun in Pisces gives hypersensitivity, intuitive nature and great imagination. The natives have many talents in: music, dance, painting, poetry but as well has financial flair, but without being very fond of the material side of life. Moon in Pisces gives attraction for music, peaceful life and esoteric research. Ascendant in Pisces gives a water nature (adaptability and flexibility in behavoir) and this great responsiveness and empathy can be used in a positive way. Jupiter is the traditional ruling planet of Pisces and Neptune is the modern one, in this case it is very important the house where these two rulers are placed in natal chart and aspects that are formed. If the Ascendant is in Pisces, then the 5th house is in Cancer and it gives imaginative gastronomic talent and desire to be perfect hosts and to live in a nice and welcoming home. They may have insight in financial speculations. If you want to keep up to date on astrology information subscribe to our Newsletter and you will receive a free present.